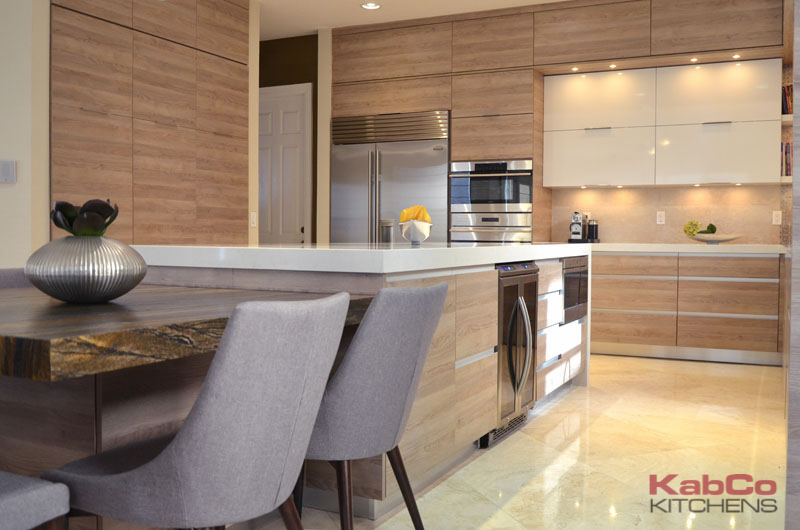 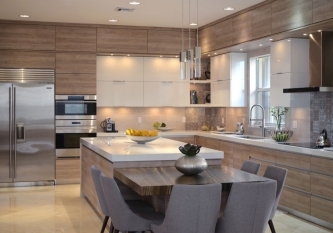 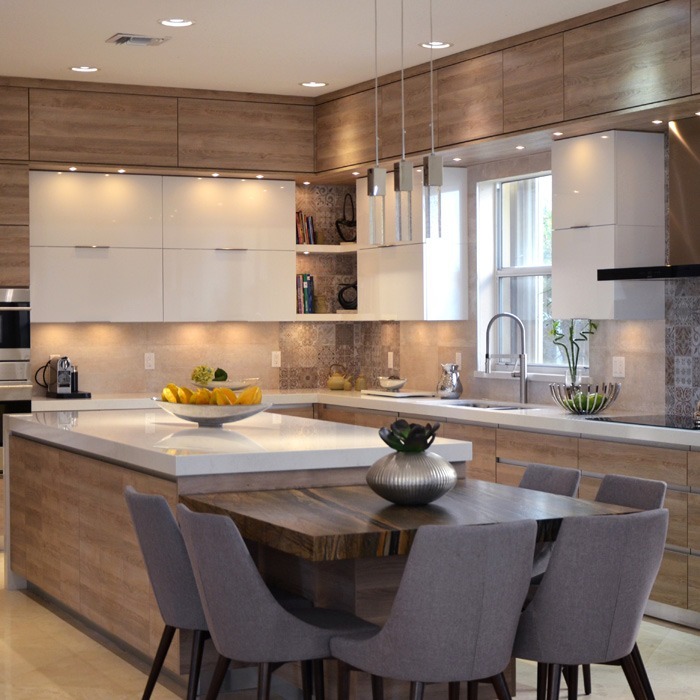 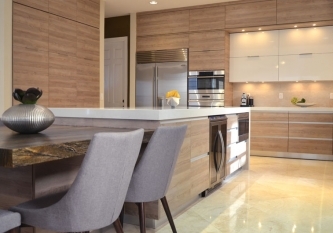 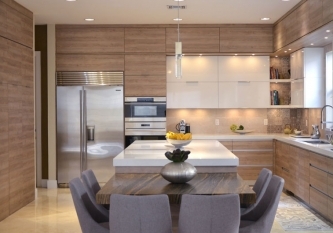 This kitchen represents a modern transformation featuring Miralis cabinetry and Quartz counters. 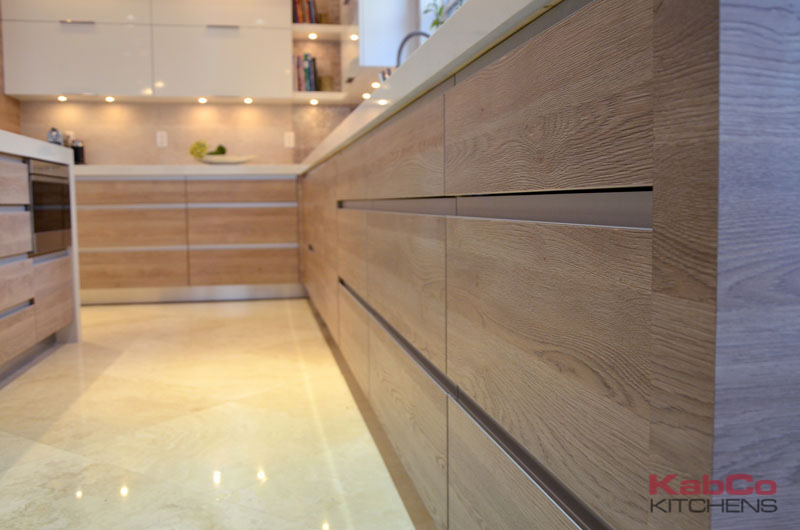 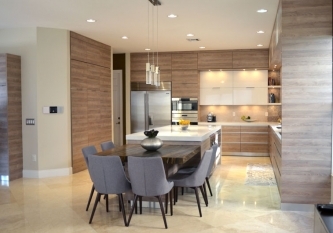 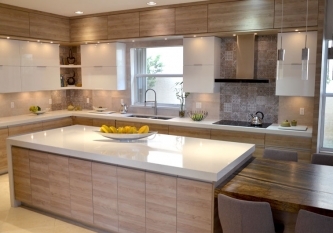 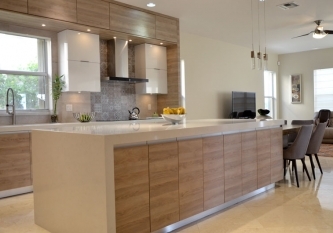 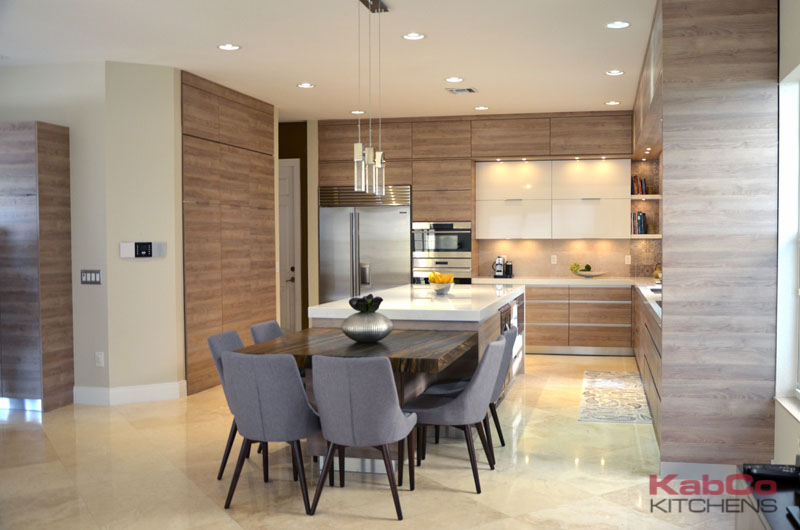 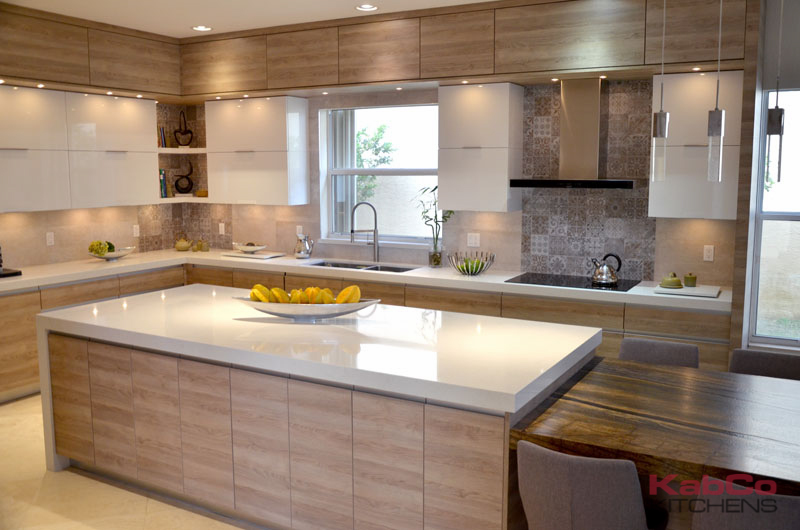 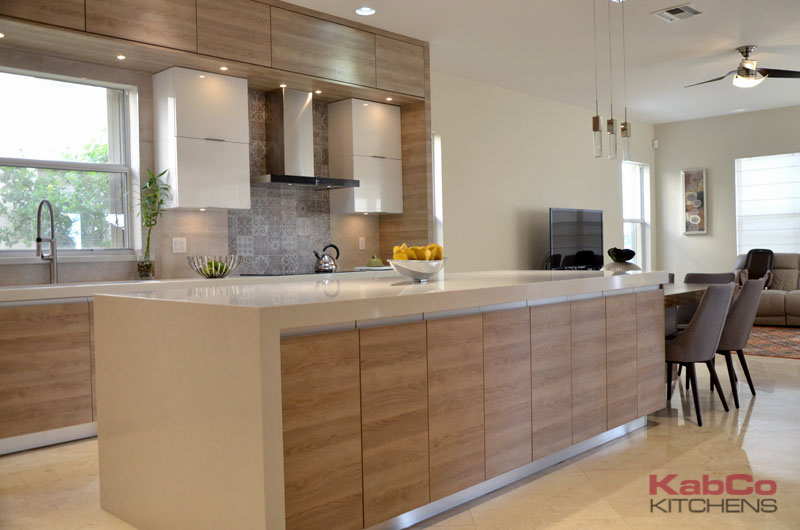 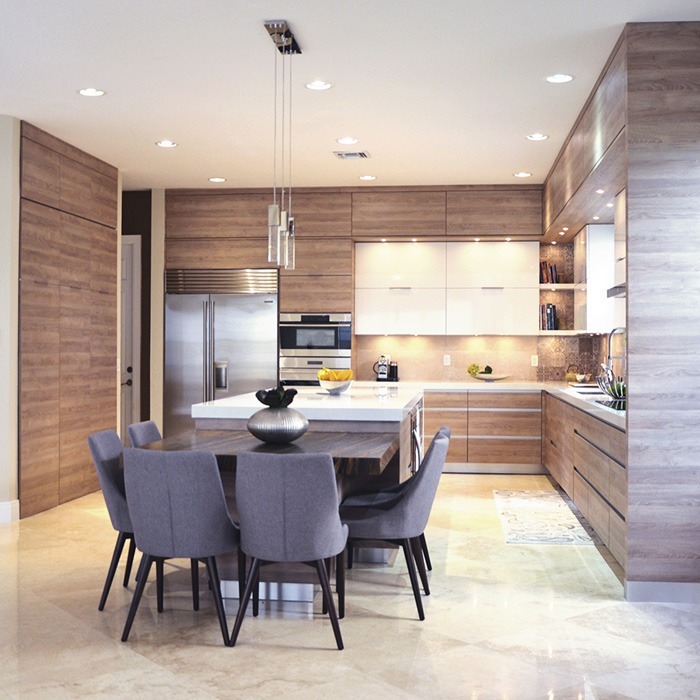 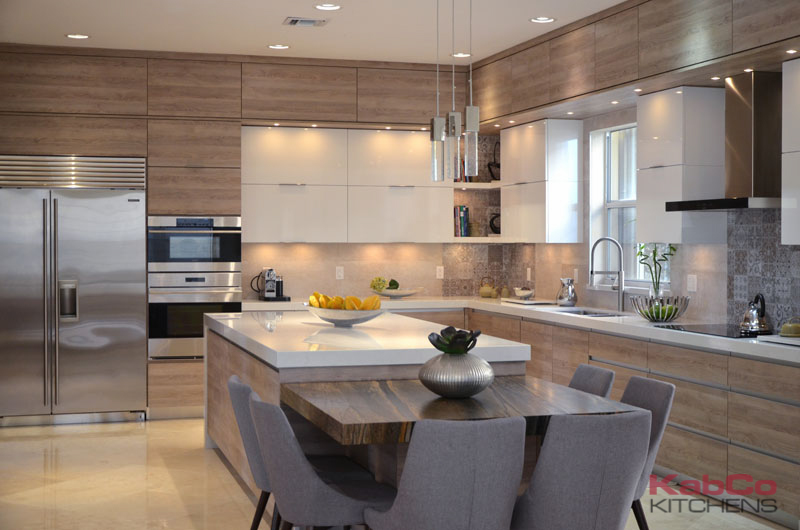 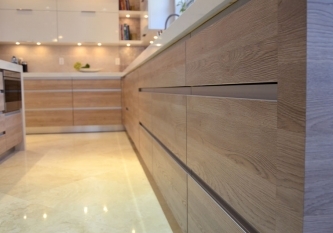 White High Gloss horizontal wall cabinets were paired with Slab Sandstorm Veener cabinets for this U-Shaped kitchen. 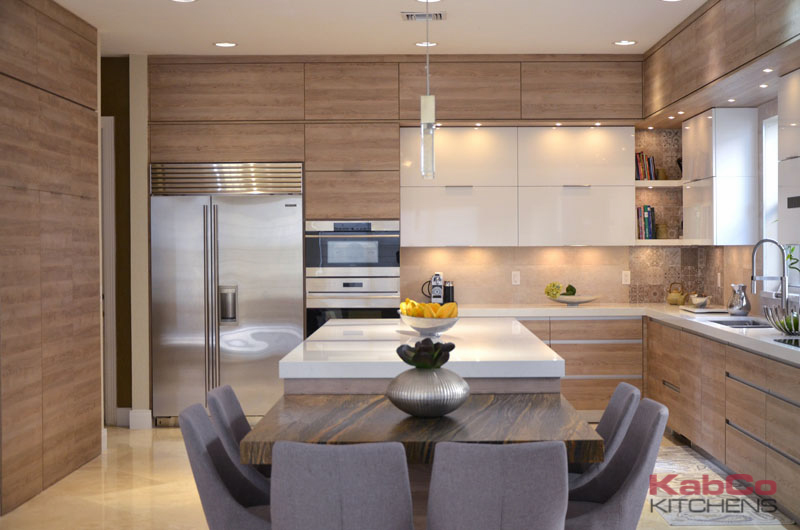 Integrated handles, custom pantry doors, stacked cabinets, accent lighting and an oversized eat-in island define this modern space.